// If the request fails, use data from the cache even if it should have expired. Note the use of the __block qualifier when we declare the request, this is important! It tells the block not to retain the request, which is important in preventing a retain-cycle, since the request will always retain the block. 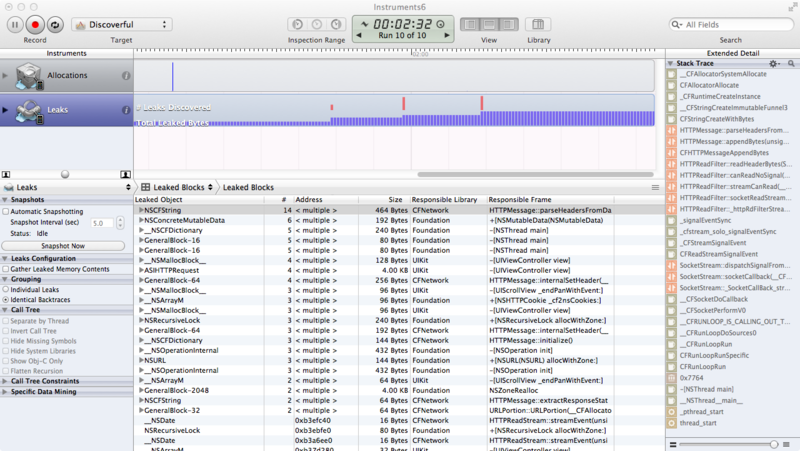 本文地址：IT屋 » Instrument (XCode4) report ASIHttpRequest leak memory?